The big news here is the weather. If you're a local reader you already know this and can skip this post. It's cold. Incredibly cold. And windy. They say the expected windchill overnight will be 35 degrees below zero - maybe 40 below. Almost everything in town was closed today, although we were open until about 2 when it was decided we could go home, too. I had a meeting this morning and dreaded going, but did. Then I went to the office and stayed there, without leaving for lunch, until they said we could go. In just the brief times between the parking lot and the office the skin on my face got chapped. It's frigid. We don't have a tremendous amount of snow, but the drifting has made it difficult. When I came home this afternoon the roads were really bad. I was so thankful to get home. I left water running last night and it's still working except to the washing machine. That is frozen since it's against a colder wall. But, otherwise I have running water and a warm house, so all is well. 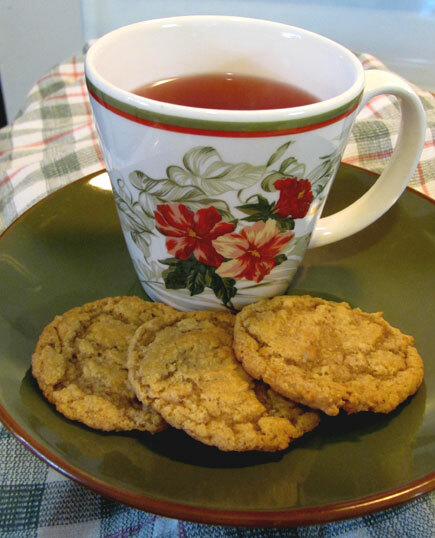 I baked cookies and had tea this afternoon while I worked on projects. I'm headed upstairs to get under the electric blanket. It may be March before my feet and legs are warm again.